Upcycling is sort of like the pro version of recycling; instead of breaking an item down to make it into something else still destined for the trash (recycling), upcycling takes those items destined for the trash and refashions them into something with greater value. This is great, for Earth Day and year round - not only are you saving things from being chucked into the trash (and eventually into some landfill), but you’re actually creating value through DIY projects, your own creativity, and an eye for style. Not to mention you’ll have a home completely decorated with one-of-a-kind, customized, handmade decor! We’ve got all the inspiration you need to get started on your own Earth Day-themed upcycling projects. We start with the classic tire-swing, an easy project and the perfect example of upcycling. Enjoyed by adults and kids alike, tire swings in the backyard save old car tires from being recycled or worse, thrown in the dumpster. With or without a backyard play structure, this is one of the best upcycling projects in time for summer! Plastic utensils are some of the worst culprits when it comes to waste, but did you know you can use plastic spoons to create an amazing DIY lamp? Not only does it look super cool, but it saves tons of plastic spoons from ending up in the garbage. Plus, this is a project kids can help with! Did you know that, on average, we throw away about 185 pounds of plastic every year? Usually we don’t think about things like gallon milk jugs, but they contribute to plastic pollution that’s harmful for the earth. If you have kids, think about creating a play structure (like this milk jug igloo!) out of (clean) milk jugs - they’ll love it, and you’ll love not feeling guilty about all that plastic! Small tables and shelves are easy DIY projects and can become beautiful upcycling projects by using reclaimed wood. When paired with store-bought or repurposed table legs and shelf brackets, these pieces of furniture add character and charm to any space. This window chalkboard idea from Upcycle That is a great way to use old, abandoned windows (the more rustic the better!) to create a place to take notes or keep a reusable calendar right by your work station. Both stylish and functional, you won’t remember how you ever lived without it. You might be still hanging on to old Christmas lights or other string lights simply because it’s not easy to know how to dispose of them. But what if you could repurpose them into classy, stylish lights that work for every season? Take advantage of vases or colored glass jars to turn your leftover lights into decorative lamps. Chipped coffee mugs and teacups usually end up in the trash or recycling but they actually make unique, whimsical planters for smaller plants. Great for indoor herb gardens, create a collection and display your favorites. If your vinyl records have finally become too scratched to listen to, you can create amazing retro bowls just by using the underside of a muffin tray and your own oven. Hold on to those nostalgic vinyls instead of trashing them and show off your taste (in music and snacks!). There’s not much else you can do with garden tools that are worn out than trash them … or is there? 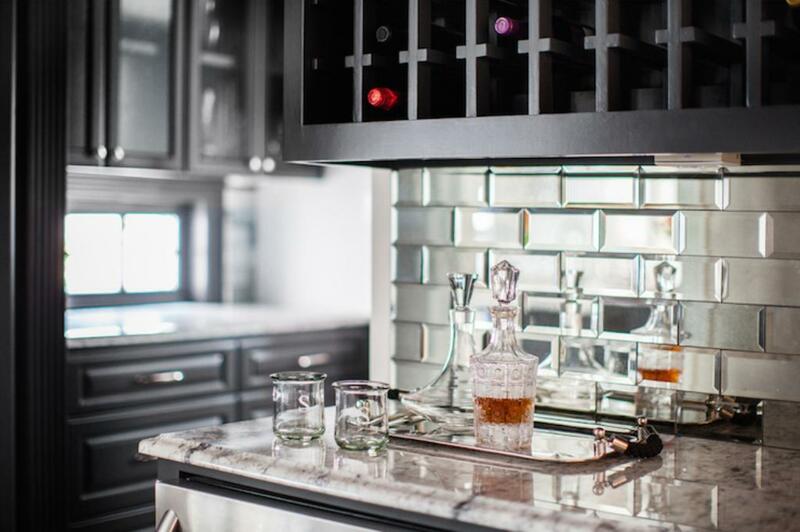 This homeowner took a rakehead that had broken off of the handle and, after a thorough cleaning, turned it into the perfect, rustic-chic wine glass holder. Classy and functional, it saves the rakehead from ending up in yet another landfill.